Click on logo to go to home page. Iron in your water? Add the Autotrol Turbulator for only $25.00 (only with purchase of softener)! Note: cannot be used with KDF Media Guard (and would not be needed). 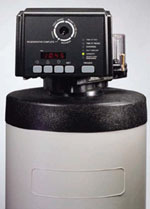 KDF-55 MediaGuard Add-On (chlorine, heavy metals), YOUR PRICE - $149.00, with softener purchase. 30 day money-back satisfaction guarantee! 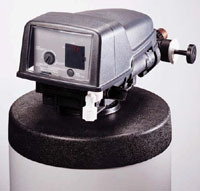 KDF-85 MediaGuard Add-On (iron, hydrogen sulfide, YOUR PRICE - $149.00, with softener purchase. 30 day money-back satisfaction guarantee! 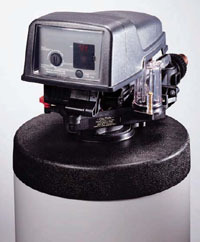 The standard brine tank set-up has a simple overflow fitting where tubing is connected to direct overflow to a floor drain should a malfunction occur. You can add a brine tank safety float shut-off if a floor drain is not nearby. Only $25.00.